North Korean officials have sentenced a Baptist missionary from South Korea to hard labor for life for allegedly attempting to establish underground churches in the nation. Kim Jong-uk was convicted of spying and other “anti-state” violatons on Friday during his trial. According to reports, he admitted to the court that he had founded a church in the country. The Associated Press also reports that the missionary also helped some North Korean residents escape to South Korea. Jong-uk has been held since October, and attempts by the South Korean government to demand his release have been futile. Instead, the North Korean government has reportedly accused South Korea of “psychological warfare” against the country. The missionary is the second to make headlines this week after facing criminal charges for engaging in evangelistic activity in the country. As previously reported, American tourist has been detained in North Korea since mid-May after he was discovered to have left a copy of the Bible in a hotel room. “The U.S. citizen, who entered the DPRK (North Korea) on April 29 as a tourist, engaged in activities that were in breach of DPRK’s laws,” wrote the country’s official Korean Central News Agency. North Korean officials also detained an elderly missionary earlier this year for leaving Christian material in a Buddhist temple during his visit. John Short, 75, of Hong Kong was released after he read a written confession of guilt, which some have characterized as being forced or staged. 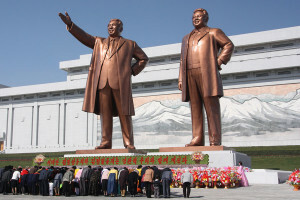 American Kenneth Bae, who operates a Washington-based tourist company, was likewise arrested not far from the city of Yanji in November 2012, where some Christian groups provide aid to North Korean refugees. It is stated that Bae has made a number of trips to North Korea to assist orphaned children. A video released by CNN earlier this year showed Bae allegedly admitting to violating North Korean law, but some are skeptical about the admission. “I know that what I did cannot be forgiven, but my wish is for this to be solved as soon as possible and meet my family,” he stated. Bae remains in North Korean custody, and reports from his family state that Bae’s health has been failing.